How often should you be asking? It’s a topic that arises often in our industry and, like many, the answer is ‘it depends.’ If you’re only sending out one appeal at year-end, you definitely need to be asking more. But chances are good – very good – that you do need to be communicating more, and better, about the impact of your donor’s gift. And never missing an opportunity to say thank you. Today’s What’s in my Inbox is a prime example of what I’m talking about. 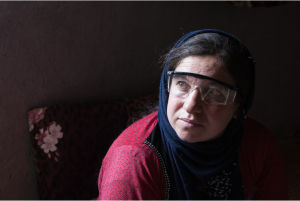 Preemptive Love is a “global movement of peacemakers changing the way we engage the world’s most polarizing conflicts by confronting fear with acts of love.” Their email tells the story of Gozi, a Yazidi woman, “a mother, wife, and an ISIS-survivor” who has started a soap making business with your help. For Gozi and her growing family, your empowerment donations have changed everything. It keeps children in school, it offers dignity instead of dependence, and it pulls whole communities up from poverty and depression. You’re remaking their world, thank you! Talk about making your donor feel like a hero! Click the image to download a pdf of this email.